Sydney, Australia – Federal Minister for the Environment, the Hon. 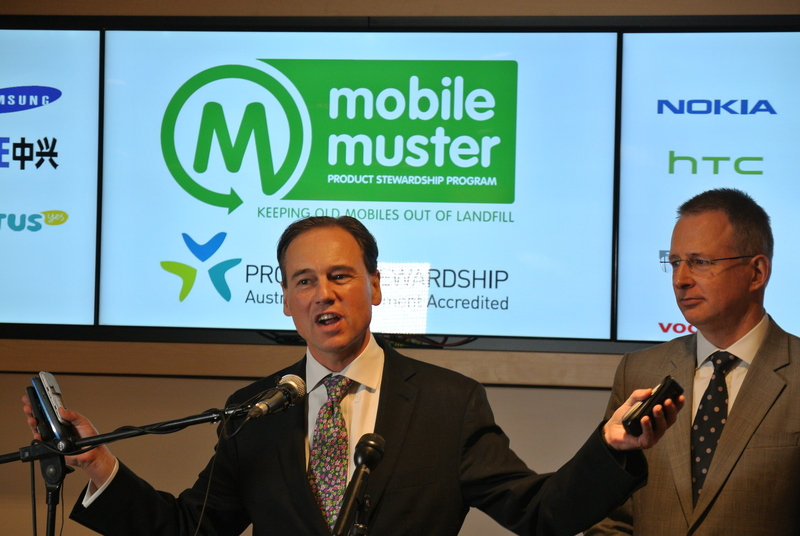 Greg Hunt MP, announced today that MobileMuster, the mobile telecommunications industry’s official recycling scheme, has been formally accredited by the Federal Government as Australia’s first voluntary product stewardship scheme under the Product Stewardship Act 2011. 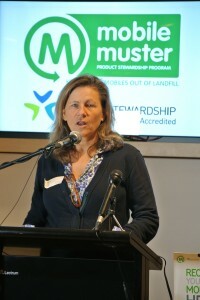 As the official accredited mobile telecommunications industry recycling program, MobileMuster and its members have committed to increase available collection rates of mobile phones from 50 to 55 per cent and volumes from 87 tonnes to 127 tonnes per year over the next 5 years, as well as increase consumer and industry engagement. The Australian Mobile Telecommunications Association (AMTA) manages MobileMuster on behalf of its members. The industry has invested over $36 million in the not-for-profit program, which is free to consumers. Since the program began, over 8.8 million handsets and batteries have been recycled, along with 550,000 kgs of accessories, which equates to nearly 1,100 tonnes of mobile phone and accessory e-waste. 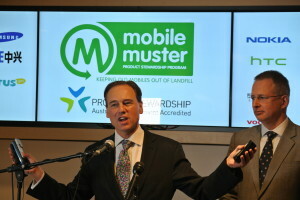 “Our members and partners work tirelessly to ensure that the promotion, collection, transportation and recycling of old mobiles is done with transparency and accountability and MobileMuster has some of the highest rates of recovery in any recycling program across the world,” said Hakan Eriksson, Deputy Chair of AMTA. AMTA’s Recycling Manager, Rose Read (pictured L), said receiving the Government’s accreditation gave the program a green tick of approval and recognised that MobileMuster has adhered to the highest safety and ethical standards when recycling old mobiles and accessories. “The announcement today is an honour for the mobile telecommunications industry’s product stewardship program. It recognises the leadership role MobileMuster has played over the past 16 years and our expertise in developing best practice, ethical recycling programs,” she said.